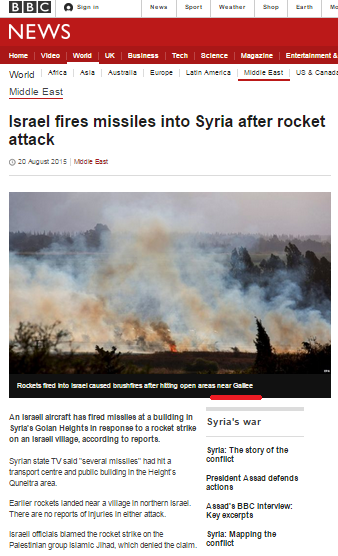 bbc reports look more like a war against Israel than journalism! If Mohammed Allan had brain damage – it would be an organ that he has never used. One must wonder how the BBC would report a similar attack on northern Scotland which like the Upper Galilee is sparsely populated. Story today on BBC news website ‘Middle East conflict drastically improved air quality’ features map of Middle East omitting Israel. Shows all capitals, including ‘Ramallah’ and omits Tel Aviv/Jerusalem.